Describe the current situation of diabetes in Nigeria? According to the World Health Organisation, over 1.7 million new cases of diabetes in Nigeria were recorded in 2016. And with about five million Nigerians, according to the Diabetes Association of Nigeria (DAN) currently living with the disease, Nigeria comes top on the list of countries in Africa with the highest incidence and prevalence of diabetes. Sadly, this value has been projected to double by 2030. So really, the fact that diabetes is on a rapid rise in Nigeria is incontestable. What is responsible for the growing cases of diabetes in Nigeria? There are certain risks factors which predispose people to developing diabetes. While there is often a genetic link to the disease, the rise in its incidence and prevalence as noticed in Nigeria today is primarily due to the many factors. Lifestyle is the chief reason for the rise in diabetes cases in Nigeria. Under lifestyle, we have the issue of adoption of western diets as evidenced by our rapacious appetites for junks and other unhealthy western diets. In ignorance, we often think we are ‘enjoying life’ by consuming these diets. But, the truth is that we are harming ourselves unknowingly. Junks contain a lot of refined sugars which have been found to be associated with the development of diabetes and other chronic diseases. Next is lack of physical activity/exercise. More and more Nigerians are taking jobs that require them to sit for long hours inside air-conditioned offices. Often times, they don’t get to stand up until closing time or whenever they are visiting the rest room. People need to be physically active. Occasionally climb the stairs, instead of using the elevator. Walk down the restaurant for lunch, instead of driving. All these, although not as effective as the daily vigorous 30 minutes exercise as recommended by the world health body can accumulate and prove very helpful in preventing the disease. Describe the link between diabetes and obesity? There is a strong link between diabetes and obesity. Unfortunately, majority of Nigerians have this belief that being obese is okay. It is not. As a matter of fact, obesity comes with several other potentially deadly conditions apart from diabetes. What about the issue of rural-urban migration? Thousands of Nigerians are migrating from villages to the cities, on a daily basis, to seek white collar jobs. After migration to cities, they are forced to adopt urban lifestyles so as to survive. So they start drinking soft drinks and eating junks and other refined foods. With this, it is only a matter of time before diabetes, hypertension or kidney disease results. How does poor health awareness and health-seeking behaviours contribute? Nigeria has one of the worst health awareness index in the world. The level of ignorance of basic, pertinent health issues is staggering. For example, some people still believe that it is okay for men to have fat bellies (abdominal fat) as it portends enjoyment (evidence of good living). Some others believe that there is absolutely no reason for them to go for routine health checkups when they are not having symptoms of disease. In fact, it interesting to note that over 60 per cent of Nigerians who are diabetic still don’t know they are. Why? This is because they are waiting for that day when they start having symptoms and it cripples their daily routines. Sadly, Diabetes is a chronic disease that takes years before symptoms manifest- at which point complications would have occurred. What are ways to prevent Diabetes? Diabetes is very preventable, especially type 2 diabetes. This is because it is mostly the result of unhealthy lifestyle, so the disease can be prevented by lifestyle modification. In fact, even people who have a genetic risk ( that is one or two of their parents or siblings had or have the disease) of having the disease can prevent it by modifying their lifestyles to include healthy eating, physical exercise, conscious loss of weight, cessation of smoking and alcoholism, etc. Are vaccines available for prevention of diabetes? The answer to this question depends on the type of diabetes in question. For type 2 diabetes, which accounts for over 90 per cent of all diabetic cases, the answer is NO. There are no vaccines for preventing type 2 diabetes. For now, the only way to prevent it is through lifestyle modification- eating right, exercising, avoiding cigarette smoking, etc. However, because the disease weakens the immune and predispose sufferers to several infections, diabetic patients are advised to get vaccinated with influenza, pneumococcal and hepatitis B vaccines. However, there is a vaccine for reversing and preventing Type 1 diabetes. The work of Dr. Denise Faustman on the Bacillus Calmette – Guérin (BCG) vaccine as a possible antitode for type 1 diabetes has received global applause and has received approval from powerful and notable organisations like the Food and Drug Administration (FDA) agency. However, the vaccine is still in its clinical trial phase and is not yet commercially available for treating diabetes. Though BCG is a cheap and common vaccine against tuberculosis, incorporated into the immunisation schedule of most developing countries, Nigeria included. The truth is that, the dose of the BCG vaccine as currently used to prevent tuberculosis may not be the same dose required to prevent type 1 diabetes. So the vaccine still has to go through the clinical trial phase before it becomes commercially available. Can you further explain the advancement of Dr. Denise Faustman and her team of researchers on diabetes? The 75th Scientific Session of the American Diabetes Association held in February 2017 announced the successful phase 1 clinical trials of the type 1 diabetes vaccine and the commencement of the phase 2 clinical trials of the vaccine. Before this, the FDA (Food and Drug Administration) had in August 2016 approved the request by Dr. Denise Faustman and her team of researchers at the Massachusetts General Hospital to go ahead with the phase 2 clinical trials of the vaccine. All these have been met with wild jubilation worldwide as type 1 diabetes patients can now picture a life devoid of daily insulin injections for life. The vaccine trials has scaled through to the phase 2 clinical trial where the optimum dose with the least side effects would be ascertained. 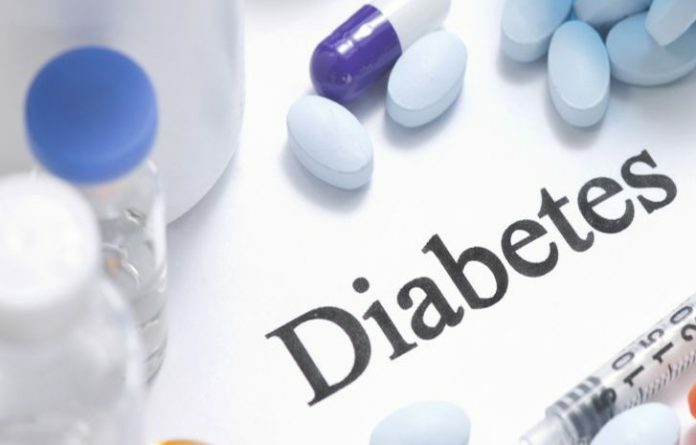 Contrary to popular belief that the vaccine will cure all types of diabetes, the vaccine has only be shown to be effective in treating type 1 diabetes- which accounts for about five to 10 per cent of diabetes in the world. So as it stands, only type 1 diabetes patients can use this vaccine when it becomes commercially available.